What is ergonomics? Ergonomics is a catch-all phrase for the process of ensuring the body is in an appropriate position when completing daily tasks. Sitting, standing, bending, lifting – all these movements require the proper ergonomic position of the legs, spine, and arms to promote comfort and productivity, and to reduce the risk of physical injury. Proper ergonomics is often most important at work, as this is where you spend the majority of your time. Everyone deserves to be comfortable at work – from the front line staff to the CEO. When people are comfortable they are happier, more productive, feel valued and supported, and are less likely to leave work due to physical injury from poor office ergonomics. 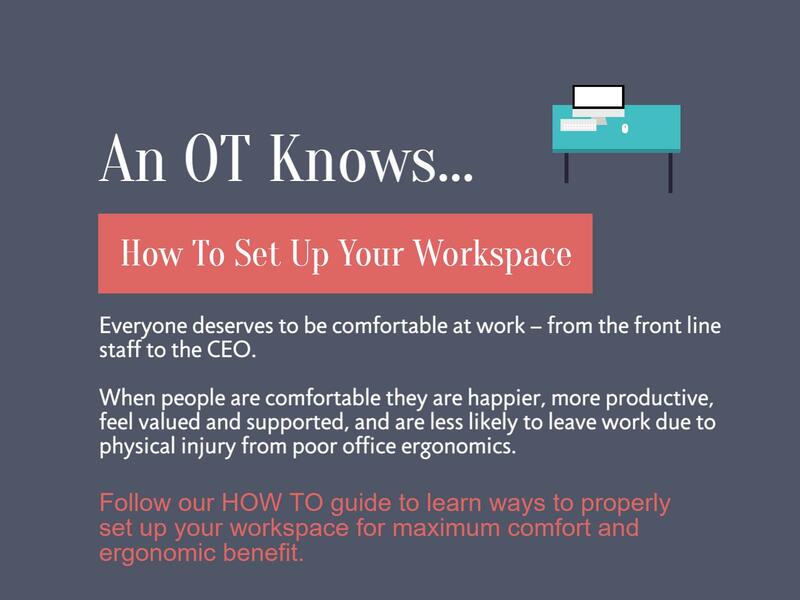 Below is our informative video, Ergonomics at Work, showing how an Occupational Therapist can help in your office by keeping people at work, enhancing productivity, reducing costs, and promoting employee morale and satisfaction. For more information check out our post, Workplace Ergonomics, Laws for Work. 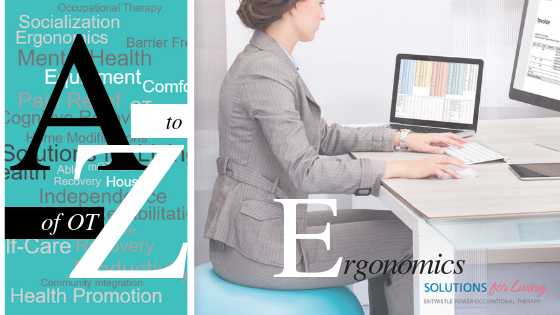 You can also download our free e-book, Cost-Effective Ergonomic Solutions. We encourage you to follow along with The A to Z of OT and to add to the discussion by highlighting other awesome things OTs help with for each corresponding letter! The negative health effects of sitting for extended periods of time, coined as “sitting disease” has been a hot topic recently. Studies show that sitting for extended periods of time, as many of us do at work, while commuting, and even while watching television or reading, can lead to increased risk of heart disease, diabetes and a decreased lifespan. But while we need to work, how do we combat these negative effects? Ergonomics addresses well-being and performance in relation to one’s job, equipment, tools and environment, with an overall goal to improve health, safety and efficiency of the worker and workplace. While the concept of ergonomics is no longer new, it involves much more than making sure your office chair is of the latest style. Due to the many different components involved in utilizing ergonomics to promote wellness and safety at work, some find it overwhelming and don’t know where to start. We’ve combined some of the most important and effective ergonomic tips together to make a quick reference guide for those looking for a starting point or those looking to brush up on their current strategies. 1. Take frequent breaks: We’ve said it before and we will say it again. Regardless of the job and job demands, humans were not meant to remain in static positions for long periods of time. 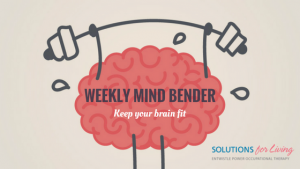 Taking regular, brief breaks throughout the day allows us to avoid maintaining static positions, awkward postures and repetitive motions that lead to injuries. 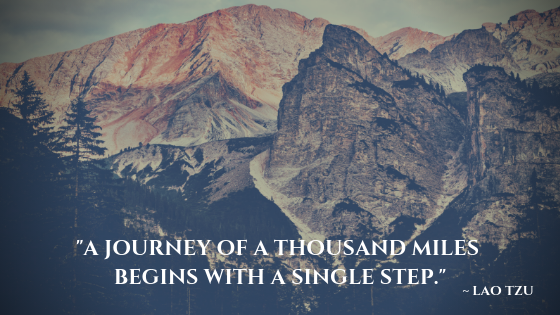 It is also important in terms of our cognition as this allows us to recharge and refocus to maintain productivity. Consider taking a 2-3 minute break for every 30 minutes of work. 2. Follow the rule of 90s: For those who are required to maintain sitting positions for long periods of time at their workstation, the rule of 90 degrees should be followed. This means that while sitting at a desk, a person’s knees, hips and elbows should each be resting at 90 degrees. This angle falls in line with our natural body proportions and biomechanics, and helps support proper posture and body positioning. 3. Seating matters: In a similar manner, seating is a key component when looking to support ergonomics. Chair height should be adjustable such that the back is firmly supported, thighs remain parallel to the floor and the feet are able to rest flat on the floor or a foot rest. The chair itself should have a sturdy support base and wheels, to allow easy mobility over flooring as well as the ability to swivel 360 degrees to avoid twisting, reaching and bending to access other items around the workstation. The more adjustable the chair the more you can fit it to YOU. 4. Change positions regularly: Just as with taking frequent breaks, regular position changes are important to avoid injuries. Whether it be taking a break to walk to the filing cabinet, or standing while having a phone conversation, make sure that regular changes in body position occur over the course of the day. 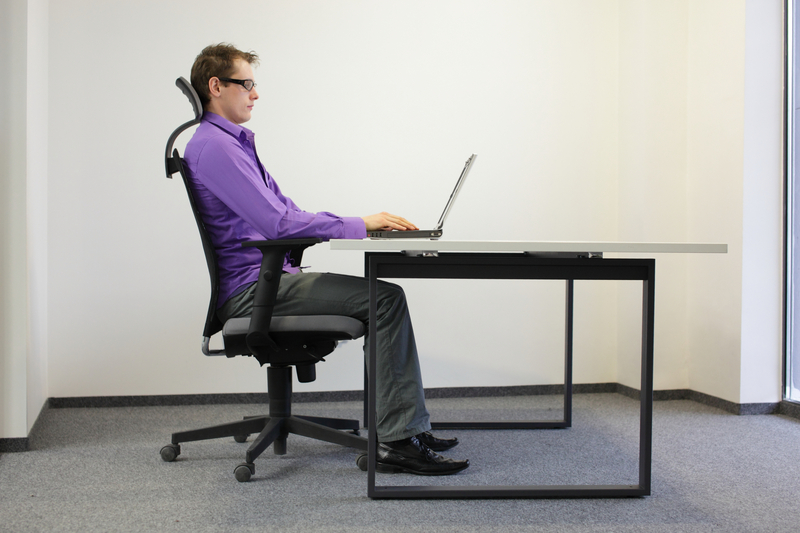 Some companies are moving towards installing mobile workstations, which can be transferred from sitting to standing height to allow employees to alternate between periods of sitting and standing to complete work tasks, making regular position changes a habit is an effective and free way to avoid injury. 5. Inspect your screen: Many jobs today require long periods of screen time. If this is the case for your workstation, make sure that there is an arm’s length distance between your eyes and the screen. Also make sure that the top of the monitor or screen is level with your forehead. This allows for the head and neck to remain in a neutral position by avoiding continued periods of looking up or down. If a job requires frequent paper reading or phone use alongside computer use, consider a document holder or headset. 6. Keep tools and frequently used items close to your body: Whether it be having your chair tucked in close to your desk, or the location of your keyboard and other frequently used items like the mouse and telephone, ensure that these items remain close to the body. This allows you to avoid reaching, twisting at the trunk or adopting other awkward postures to obtain and use these items. 7. Stretch: This tip goes hand in hand with the use of regular breaks and position changes. Engaging in gentle stretching on a regular basis over the course of the day can address body stiffness and muscle tension in areas like the neck, shoulders and back. It also serves as a preventative strategy to keep the body moving and avoid injury before it happens. Grab a list of some simple stretches for your neck, shoulders, wrists and back and do these a few times a day. 8. Keep wrists neutral: Whether it be for keyboarding, use of a mouse or desk work, it is important that wrists are maintained in a neutral posture. This avoids potential for overuse and injury due to fixed postures of flexion. Try altering positions or using equipment such as a wrist rest to support the forearms. 9. Lighting matters: Improper lighting at a workstation can lead to glare, visual strain, headaches and reduced concentration. Make sure that lighting is neither too bright nor too low and that the location and angle is appropriate for the specific work task. 10. Ask for help: These tips are basic in nature and are meant to serve as general information. However, if you have more specific questions related to implementing ergonomics in your workplace, for a specific job or employee, seek the services of an Occupational Therapist. An OT can provide more thorough assessments and recommendations to maximize safety, health and efficiency at work. 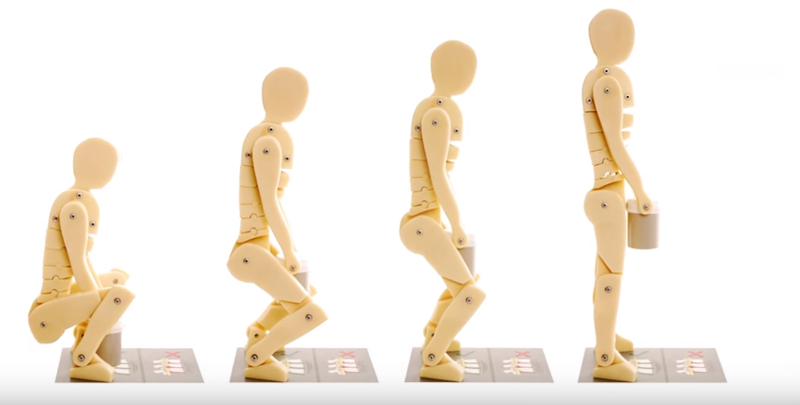 Keep these principles in mind anytime you are in a static posture and are using a computer or workstation. Prevention is always the best medicine to avoiding injury and lost work time that can be so disruptive for you and your employer. Check out our free e-book “Cost Effective Ergonomics Solutions” for more ergonomic solutions. The posture adopted by many people when leaning over a cellphone while reading and texting is becoming a problem. This bad posture that can put up to 60 pounds of pressure on the upper spine — sometimes for several hours a day, is a growing concern with long-term consequences. 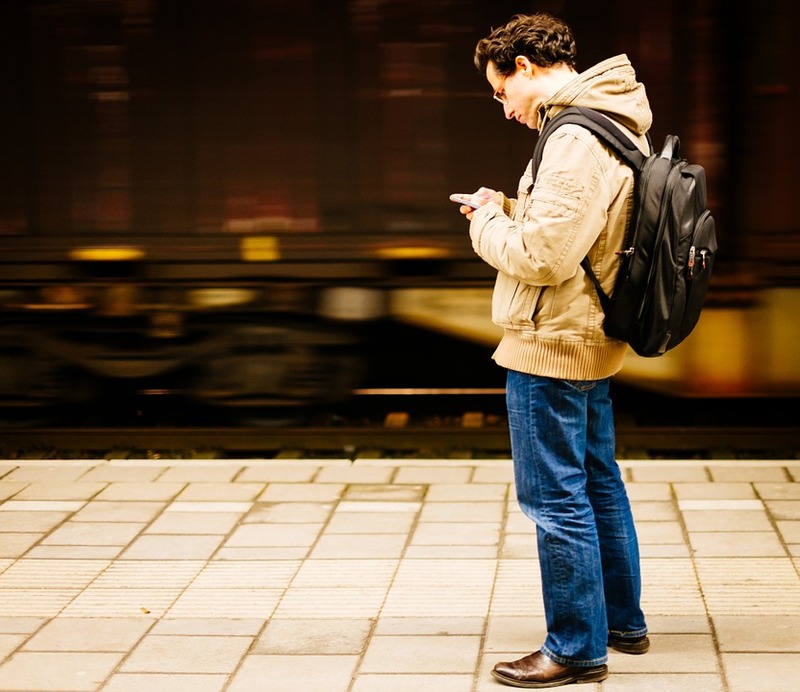 Learn more in the following from The Washington Post and if you are suffering from text neck contact an OT for an individualized solution. Repetitive activity using improper posture and body mechanics can result in excess energy expenditure, fatigue, pain and even injury or damage to muscles and joints over time. Therefore, it’s important to know the proper body mechanics required when completing everyday tasks and activities, at home, at play or at work or school. Take a look to learn how an OT can help you improve body mechanics and reduce the risk of injury and pain in the long-term. Remember to subscribe to our YouTube channel for access to this and other great OT-V videos! 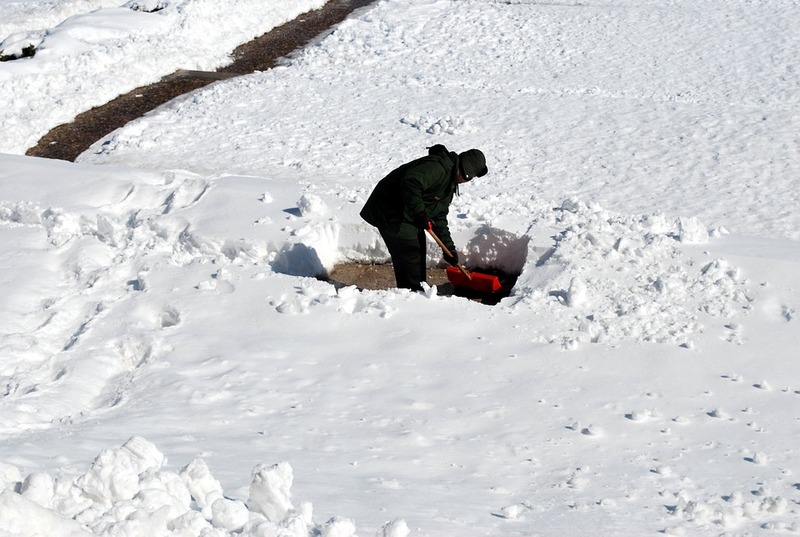 Shovelling snow is not only a requirement (based on your municipality) and a way to mitigate liability, but it ensures your safety and that of others. Shovelling can be strenuous work, therefore it’s important to use the proper tools and techniques to reduce the risk of injury. The following from Toronto Paramedic Services provides you with some great information on how to shovel safely. October is Global Ergonomics Month! As Occupational Therapists, a large part of what we do involves ensuring proper ergonomics for our clients at work or school, at home and at play. The following from the Public Services Health and Safety Association provides you with some great information and resources for Ergo Month. 1. Take Regular Breaks: Taking a regular break can help boost productivity, reduce stress and benefit your physical health. Once an hour make sure you stand up, walk around the office, stretch or do some simple exercises like squats or lunges. 2. Stand While You Work: Standing workstations are becoming an increasingly popular choice in offices across the globe. These workstations allow you to adjust your desk from sitting to standing so you can have both options during the day. 3. Switch Your Seat: If you must sit while working, think about changing your seating options! From exercise ball chairs to desks with pedals, there are many options to help you increase your health while sitting. 4. Perfect Your Posture: While you are seated ensure you are not slouching, leaning or bending over to access your workspace. Sitting up straight and ensuring proper posture will go a long way for your physical health! 5. Make it a Mobile Meeting: If you’re meeting with a colleague see if you can have your meeting on the go. Take a walk around the block while you discuss or walk to your favourite coffee shop where you can continue your discussions there. 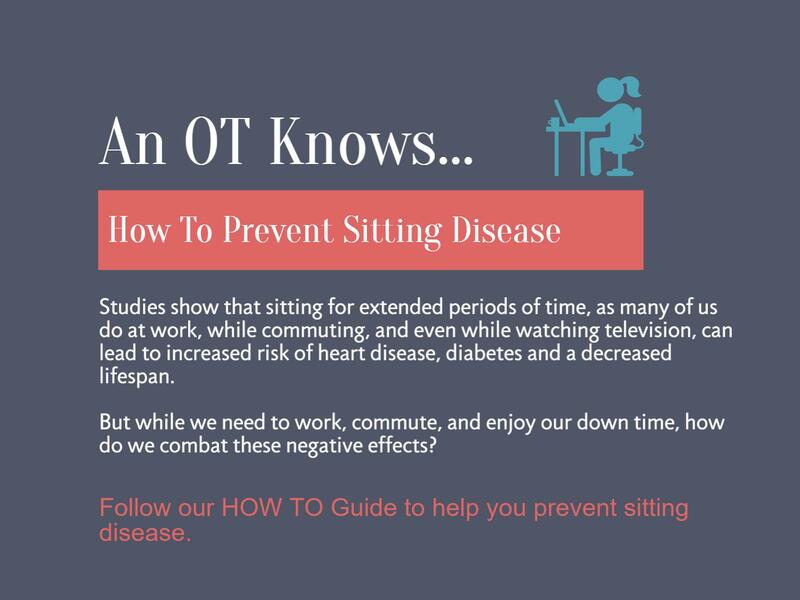 Check out the web’s premier sitting disease prevention guide brought to you by Beyond the Office Door for more information and resources on the prevention of sitting disease.